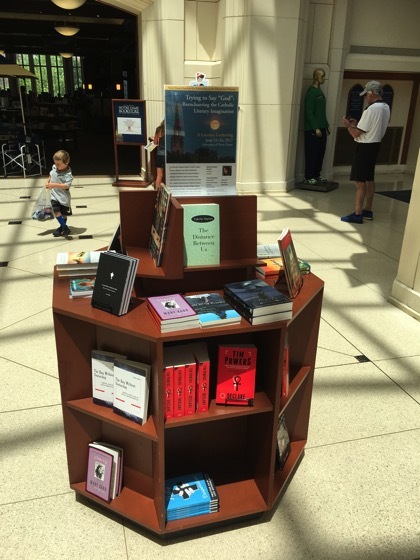 After a two hour trip on the South Shore Railroad (“The most uncomfortable seats on rails”™), I ended up at the South Bend Airport (“both taxis in South Bend are already here”™) and made my way to otre Dame University for the “Trying to Say God” conference. This is a conference whose animating spirit is “revitalizing Catholic literature.” As a Catholic writer who has some works that could reasonably be termed “Catholic literature” this is something of interest to me and since the conference was relatively inexpensive ($75), I decided to go and see what they had to say. 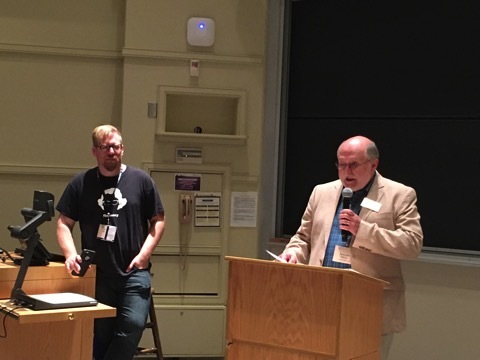 The conference was apparently begun out of some envy at the fact that the evangelicals have been beating the Catholics at the literary festival thing for quite some time now. This is meant to be the first in a biennial series of conferences with the conference to return in 2019 in Toronto. 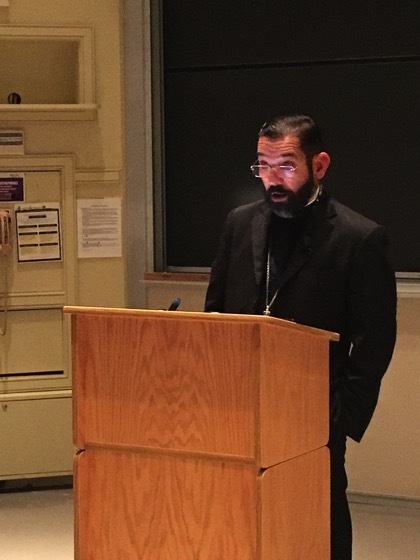 The opening talk came from Bishop Daniel Flores who spoke on the role of artists in the church and was one of those rare statements by a bishop that referenced both Game of Thrones and The Lord of the Rings. Bishop Flores later presided over the conference mass at the Basilica of the Sacred Heart which aside from its beautiful architecture also had a heated holy water font, something I’d never encountered before. I can see that being really nice for baptisms. 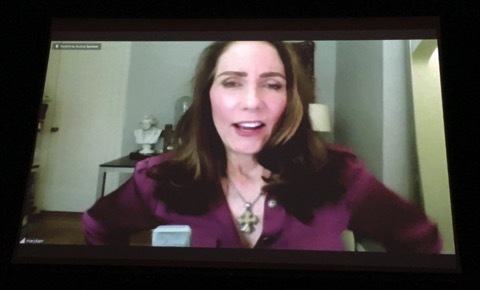 The eve ning keynote was Mary Karr who appeared via teleconference thanks to a back injury. Despite being in so much pain she couldn’t walk, she was still an engaging speaker (plus we got a peek at her office complete with cross and bust of Beethoven). Karr went on to say that she prays before she writes, “just give me one good sentence,” and revealed a bit of advice she was given, “What would you write if you weren’t afraid?” which she hates because now she has to ask it of herself all the time.